When you hire someone for a job, you expect them to do it. Especially if that job is to deliver life saving meals to Puerto Rico residents suffering without power, water, or access to food after the devastation of Hurricane Maria. So why did this FEMA contractor only deliver 50,000 of the 3 MILLION meals they were hired to provide to suffering Hurricane Maria survivors? According to reports, FEMA gave a staggering $156 million contract to Tribute Contracting, LLD — a one-women firm based in Atlanta — to provide much needed meals to Hurricane survivors. The company had no experience in large-scale disaster relief and had gotten into trouble for not fulfilling smaller contracts in the past. They never delivered. 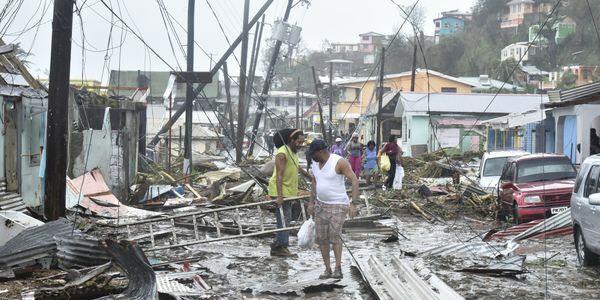 Sign my petition calling on Congress to investigate Tribute Contracting's fraud and FEMA's mismanagement of the Hurricane Maria crisis! Tribute's contract was terminated in October — when 18.5 million meals were scheduled for delivery — but never came. And FEMA inspectors discovered another huge problem. They had asked Tribute for "self-heating" meals but the meals that had already been shipped were packaged separately from the pouches used to heat them. These were useless when millions on the island still live without access to water or power. This contract should have never been given in the first place. Puerto Rico residents were suffering and in need of critical supplies. We should have helped them, not given away tax-payer money to companies who could never deliver in the first place. Join me in calling on Congress to investigate FEMA's terrible mismanagement of Hurricane Maria, especially the disastrous hiring of Tribute Contracting to deliver desperately needed meals that never came.